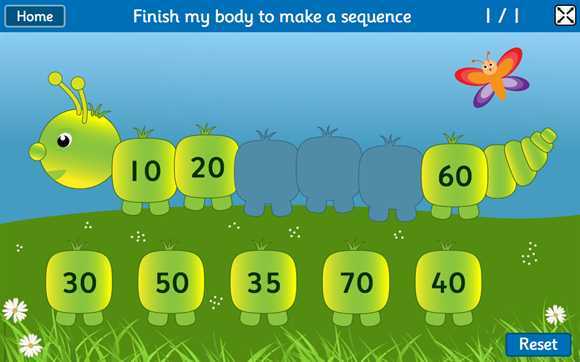 These fun learning games for kids involve a wide variety of ordering and sequencing numbers activities.They provide opportunities both to recognise a number sequence and complete sequences of numbers. 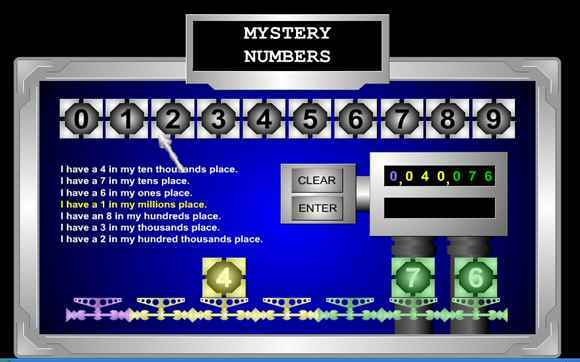 A wonderful game for ordering numbers and for number sequences. 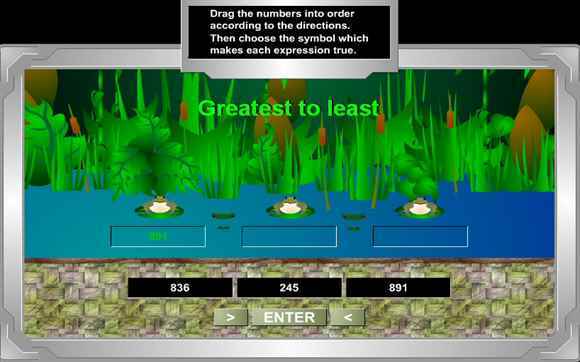 Fantastic on an interactive whiteboard and tablet friendly. 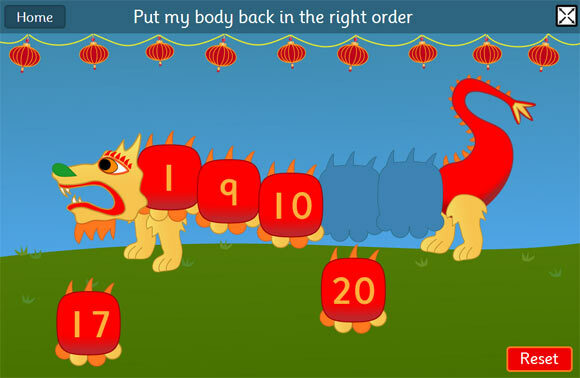 You'll love this ordering game! Order numbers, prices or mass. 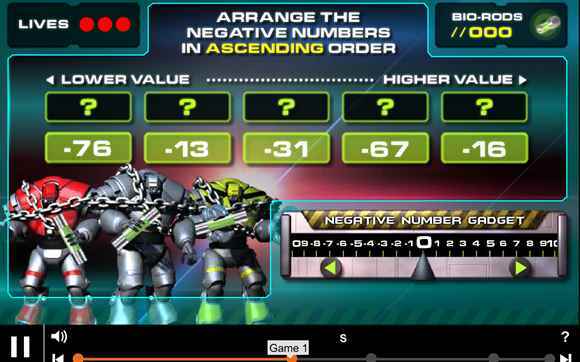 Levels range from numbers 1 to 10 right up to decimal places. Very versatile. It's the year 2010 and the world has been taken over by Roboidz. 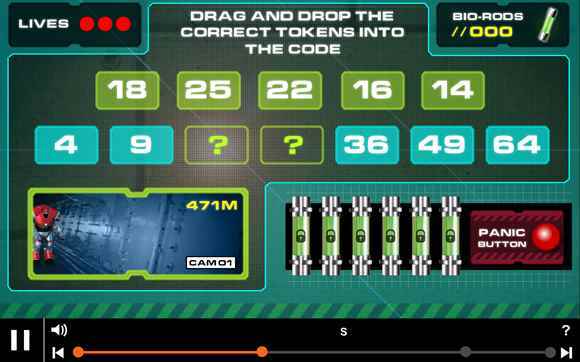 You need to use your number pattern know-how to crack the Mission 2110 codes and cut off the enemy's vital food source. Order numbers along a branch. You can select the minimum and maximum numbers. 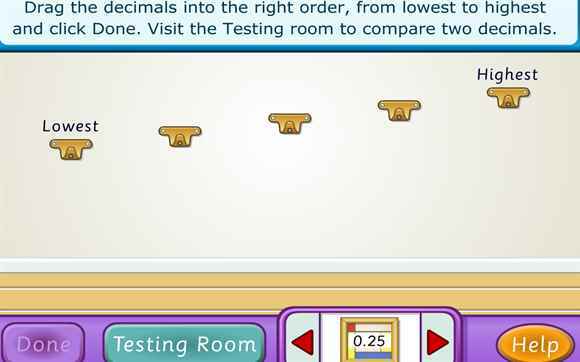 Drag the decimals in the right order. 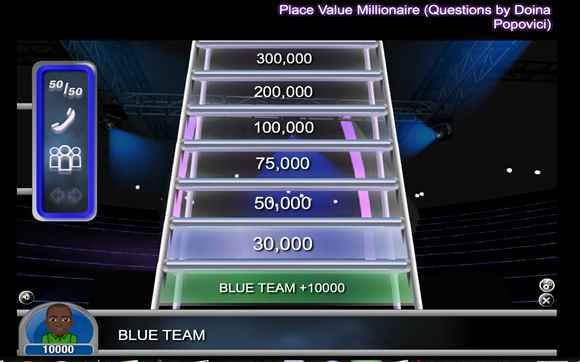 There are different levels of difficulty. 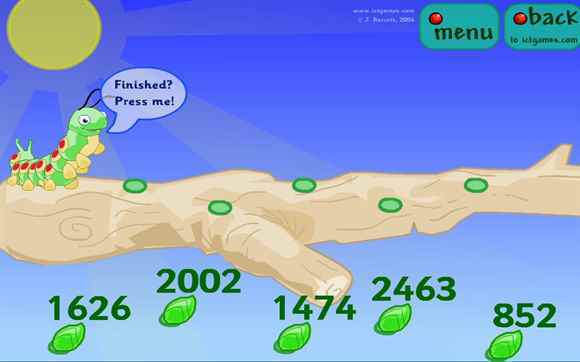 In this game see how many turns it takes you to guess the number. 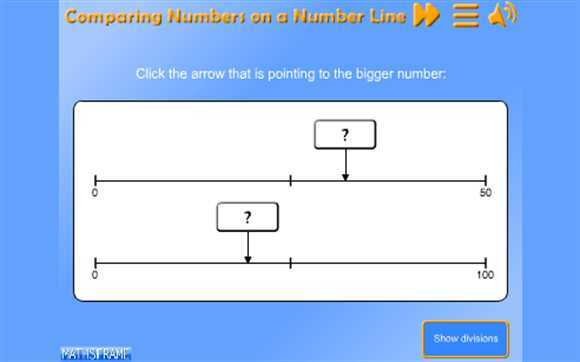 It will help your estimation and halving. You can put in your own numbers to make it as easy or hard as you like. 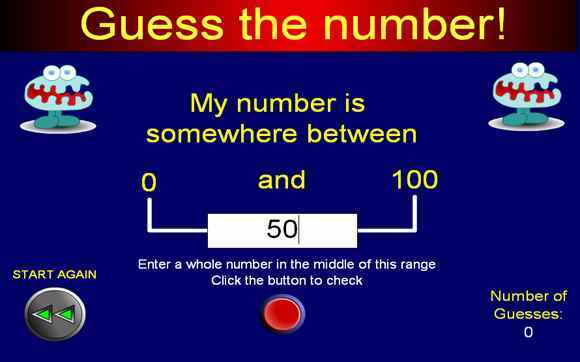 Order the numbers then choose the appropriate greater than or less than symbol. 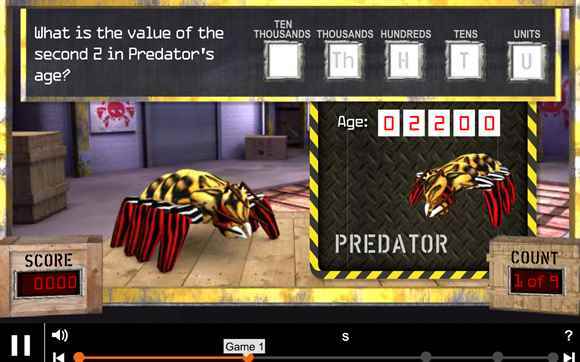 You will love these games on ordering three digit numbers. 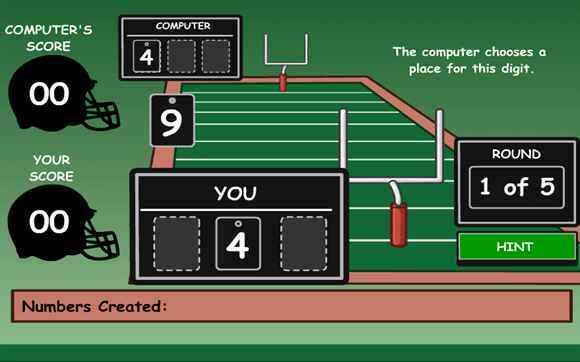 The numbers are randomly generated so you can play as many times as you like. 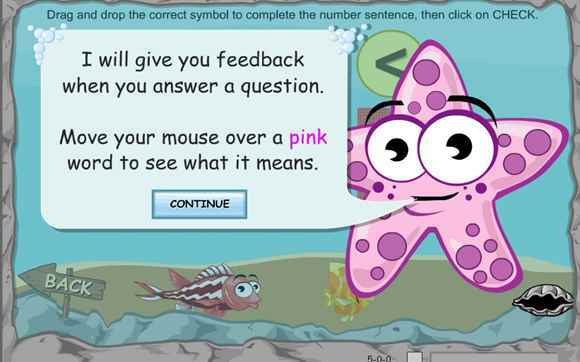 Aimed at 7 to 8 year olds. 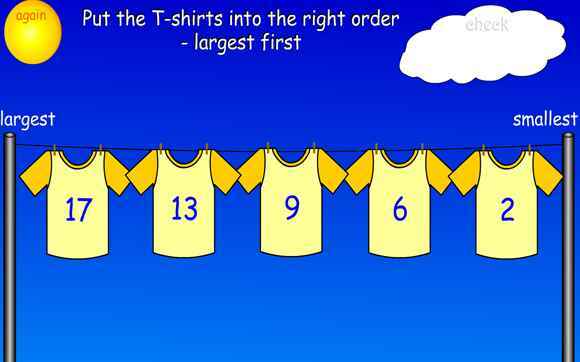 A simple game where you need to order the numbers from smallest to biggest. 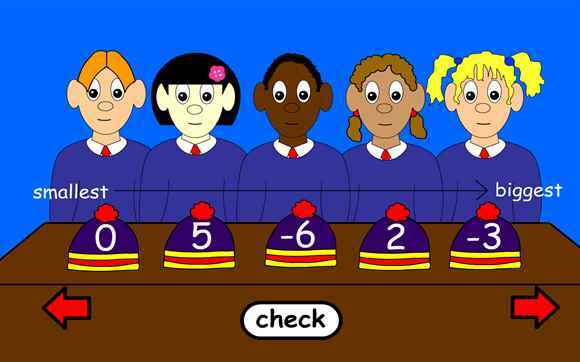 The range includes negative numbers. 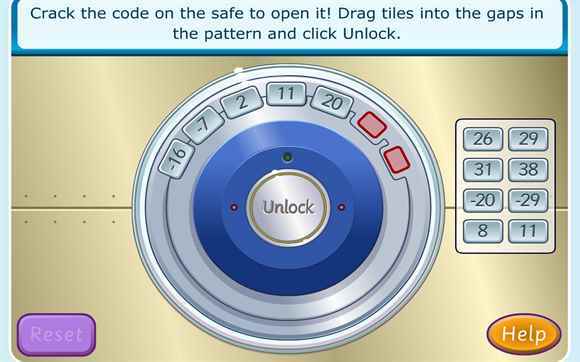 Can you crack the code to open the safe by working out the number sequences?